Taken during the production of the 90’s piece below, as the Weinermobile lined up for its place in a parade. 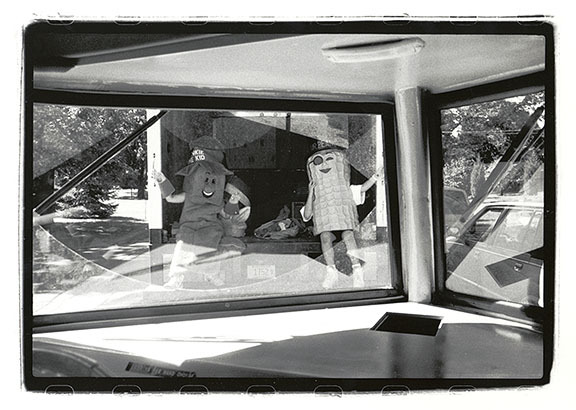 I’m uncertain why the peanut and the snack cake are in the back of a truck, but I’m happy they felt compelled to wave at the photographer inside the giant hot dog. Judging it by the cleanliness of its windshield, I’d say that someone had been taking the giant hot dog off-roading….